Government data, analyzed and wielded by dedicated public servants, can be a force for good. The government has an unfathomable amount of data -- and it grows more and more each year. This puts agencies in a unique and important position to use that data for good. Whether it be improving government operations, solving some of the nation’s biggest challenges or empowering citizens in new ways, government agencies are in a position to leverage data like never before. This will be a key topic during Analytics Experience 2017, held September 18-20 at the Gaylord National Resort and Convention Center in National Harbor, Md. Though the conference appeals to all industries, with this year’s event taking place on the outskirts of Washington, DC, there will be stronger focus on government data and analytics. A government leadership breakfast with keynote presentations from retired U.S. Army Col. Greg Gadson and Secretary Andrew H. Card Jr., the White House Chief of Staff from 2001 to 2006. 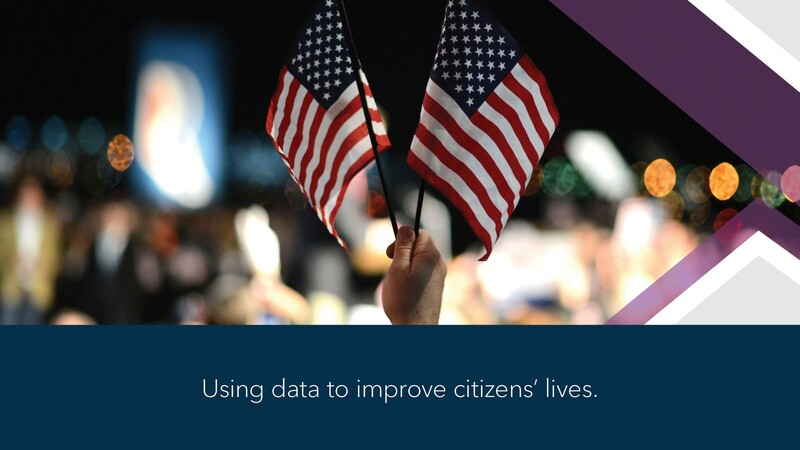 Paula Henderson, Vice President, SAS US Government, will discuss how dedicated public servants using data and analytics can be a force for good. The breakfast is September 18 from 8-10:30 a.m.
An opening keynote on September 18 at 11:30 a.m. from Megan Smith, former United States CTO, who will discuss how technology and innovative approaches can transform organizations. 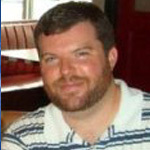 A keynote address on September 19 at 1:30 p.m. from D.J. Patil, the former Chief Data Scientist of the United States. Patil, analytics expert and author Tom Davenport, and SAS CTO Oliver Schabenberger will discuss how to take advantage of technology disruption. Reshma Saujani, Founder and CEO of Girls Who Code, will discuss how to close the gender gap in technology. As SAS has learned in working with public sector organizations, data has a tremendous power to bring change and improve the lives of citizens, if used correctly. For instance, SAS helped the U.S. Marshals Service institute an analytics program to improve how the agency houses fugitives it has in custody. The Marshals Service holds about 200,000 defendants in custody annually with an average length of detention around 100 days. To improve the efficiency of the detention process, the Marshals Service implemented a practical and simplistic model using readily‐available data and analytics. Analytics Experience attendees will also hear how government data helps agencies meet mission goals. Through this process, SAS helped the agency avoid hundreds of millions of dollars in costs, with the potential for more. Armed with data analysis and statistical models, the Marshals Service was able to negotiate a lower-than-requested per diem rate in nearly two-thirds of its cases. That process alone saved more than $200 million, representing eight percent of all expenditures on housing. John Scalia, Chief, Forecasting & Analysis for the United States Marshals Service Prisoner Operations Division will present details of this success story during Analytics Experience 2017. Implementation of a Fraud Detection and Prevention System for Participant Integrity in the Georgia Women, Infants and Children (WIC) Program. Reducing Traveling Times for the Cobb County Fire Department. Successful Analytical Strategies: Forecasting and Optimization in the United States Marshals Service. Revolution or Evolution? Text Analytics in the Service of Political Analysis. 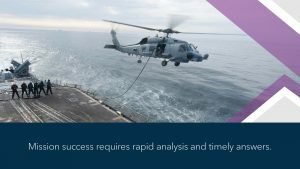 SAS in Cybersecurity: Securing the Defense Manpower Data Center (DMDC) Through SAS Visual Analytics. From Data to Action: Text Analytics for Government. Rapid Prototyping of Government Solutions with SAS® Viya. How San Bernardino County improved behavioral health outcomes. Overview and Impact of Analytics in the Virginia Medicaid Data Office. Can Predictive Analytics Identify Chronically Reported Perpetrators in Child Welfare Systems? Analyzing Theft Occurrences in Chicago using SAS Enterprise Miner. Applying Text Analytics and Machine Learning to Assess Consumer Financial Complaints. As a fun side note, the event also features a keynote session on September 20 with NBA legend Magic Johnson. Analytics Experience 2017 will provide government technology leaders with an opportunity to learn more about data analytics, ask questions of analytics experts and share best practices. Click here to learn more or to register for the event. Government leaders will receive invitations to the breakfast. In addition, all main stage presentations will live stream, and can be viewed here.